It is with great admiration and appreciation to present Phyllis Mavrikis, the GFWC Woman’s Club of Deerfield Beach, Volunteer of the Year 2018. She embodies the GFWC “Spirit of Volunteerism” and epitomizes the mission and goals of District 13. Phyllis earned her MA degree in education from Nova University. Twice she was Teacher of the Year, Wingate Oaks Center 2003, and Bright Horizon’s Center of Deerfield Beach in 2010. After thirty-four years of teaching Special Needs children she retired. Lucky for our club Phyllis joined our club in 2014. She brought with her academic expertise, leadership skills, and an uncanny ability to relate to the needs of others. These accomplishments and character traits, coupled with an unparallel, commitment to GFWC principles of volunteerism has truly been a blessing to our club. Phyllis has served on the Executive Board four years marking 2018 as First Vice President. Fulfilling the duties of this office alone takes a special dedication and ability to be prepared at a moment’s notice to take over the duties of the club’s President. She has spearheaded many committees. As Program Director, Phyllis provided the club with meaningful and interesting meeting programs, speakers, and guests that correlate with our GFWC Six Departments and the needs and requests of our members. She Chaired the Phone Tree Committee coordinating with the Hospitality Chair and leant a helping hand to our members at meetings and club functions. She attended GFWC Florida State meetings and District 13 Meetings to become more knowledgeable and to help the club succeed in its efforts. Phyllis has a quiet, reserved personality, but make no mistake about her strength and conviction of purpose. She is a champion of those in need! Her project suggestions for 2018 for autistic children, literacy and education (books and school supplies) were embraced by our members. Our members who needed prayer and healing were comforted with a prayer shawl and her kindness. Our President’s Projects are always foremost in Phyllis’s priorities. Currently she is helping to make “100 Blankets for Operation Smile” the 2018-20 President’s Project. Our club’s support and activities for Hacienda Girls’ Ranch and Canine Companions for Independence was embraced by Phyllis by donating her time and skills and getting others to help our fundraiser. Our Membership Project: “100 Members for 100 Years,” met its goal with the help of Phyllis, who donated and distributed flyers just about everywhere in the city and participated with her husband on the club trips. You will find her in the most unsuspected places handing out club brochures and promoting GFWC. This project was so successful, we reported 108 members for 2018, an over 40% increase. Phyllis is very involved in other historical activities and organizations in our city, especially the Deerfield Beach Historical Society. She attended “History at High Noon” programs and conducts monthly tours of the Butler House for school children and all who come. This house belonged to one of our founding members and is now on the Florida Historical Registry. Phyllis volunteered for as many of this society’s events as possible. 2019 marks our club’s 100th Year Birthday, so Phyllis took the enormous, time consuming task of getting all our files, photos, and scrapbooks in order. As Committee Chairperson she has worked with Sally Link, a professional writer and historian. An article about our history and legacy will to be published in the March issue of the Deerfield Beach Community Magazine. Phyllis arranged a trip to the Broward County Library to view valuable materials and documents to provide a more accurate account of our club. She also contacted Boynton Beach Library for additional information. She set a course to find accurate historical facts about the accomplishments of our club as well as anecdotal stories. She spent well over 400 hours in the past few months on this project alone. Phyllis is very much involved in Community and City Sponsored events: She volunteered at The Annual Beach Clean Up, The Longest Human Underwater Chain (Guinness Book of World Records, Surfers for Autism, Pioneer Days City Events, and the Art Festival. Phillis attended the Women’s History Hall of Fame Luncheon, and the N.E. Focal Point (Senior Center) Cuisine of the Region. She donated and made almost all the decorations for our cars for the Martin Luther King Parade. Phyllis volunteered at the luminary table for “Relay for Life”, a City, Chamber of Commerce and Organization sponsored event. Leadership and Public Issues in 2018 found Phyllis in regular attendance at our Commission Meetings and other city sponsored improvement meetings. She publicly spoke on various projects regarding development, recycling, parks and open space, and preserving quality of life. 2018 is a year to be proud of the accomplishments and charitable involvement of our club and to realize how much Phyllis Mavrikis with her sweet smile and dynamic sense of purpose helped make it happen. Every club should be blessed by a wonderful and dynamic member like Phyllis Mavrikis. Kudos to our 1st V.P., Phyllis Mavrikis, and our club Volunteer of the Year 2018, for being selected as GFWC District 13, Volunteer of the Year, 2018. Phyllis has demonstrated a devotion to the mission and goals of GFWC and to our club with all she has done this past year and in the past almost five years since she joined as a volunteer. Phyllis epitomizes what it means to be what I call, a “VOLUNTEER with PASSION and DEDICATION” to Community Service. 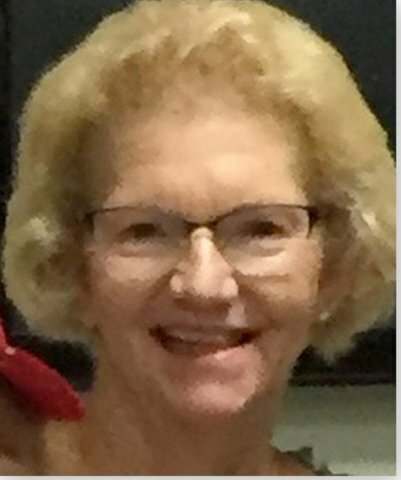 Phyllis will be honored as District 13 Volunteer of the Year 2018 at the GFWC/Florida State Spring Convention. I (We) thank her for all she does!